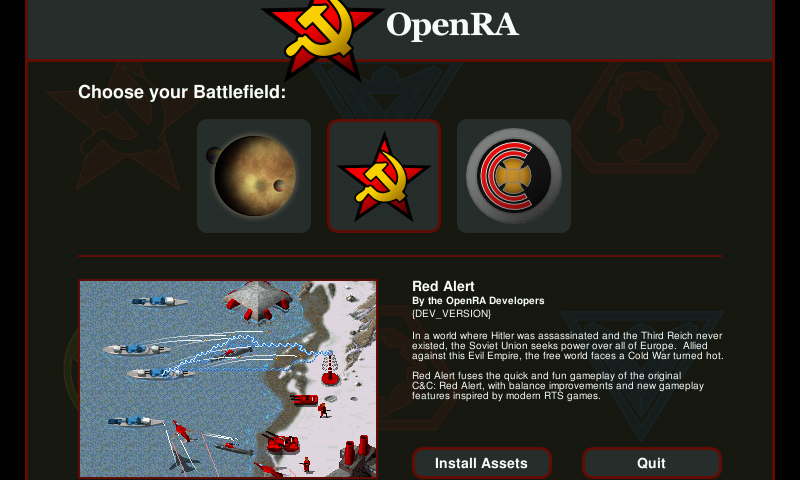 OpenRA is a project that recreates and modernizes the classic Command and Conquer real time strategy games. 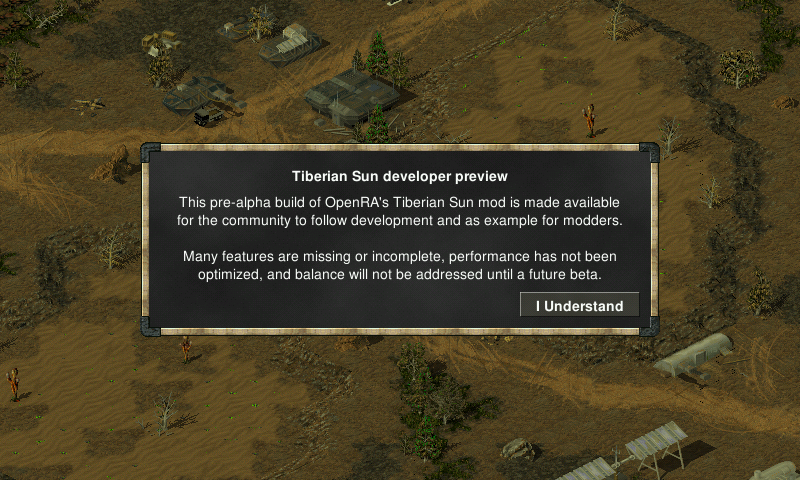 We have developed a flexible open source game engine (the OpenRA engine) that provides a common platform for rebuilding and reimagining classic 2D and 2.5D RTS games (the OpenRA mods). This PND use the MonoRT pnd, so be sure to have it installed (i.e. simply copied) on your Pandora. The games is an OpenGL 2.0 game and use the new experiemental GLES2 backend of gl4es. Also, beeing C#, the game can be a bit sluggish at first, when the JIT trigger. It should be smoother after the initial hickup. You can use CD data or let the launcher download datas. * More hacking to shaders to avoid "discard"